Though he also appeared in such 1950s films as Congo Crossing and Phone Call from a Stranger, Nader is perhaps best remembered for his starring role in the 3-D science fiction feature Robot Monster. 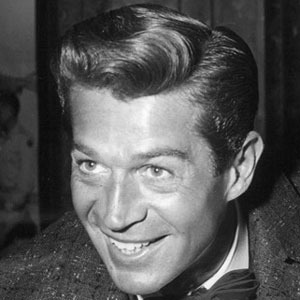 Before beginning his acting career, he served in the United States Navy in World War II's Pacific Theatre. He received a 1955 Golden Globe Award. He grew up in Pasadena, California as the son of George Nader, Sr. and Alice Scott Nader. His life partner, Mark Miller, was actor Rock Hudson's secretary.